The influence of having Sunday Brunch has spread to a wider audience. 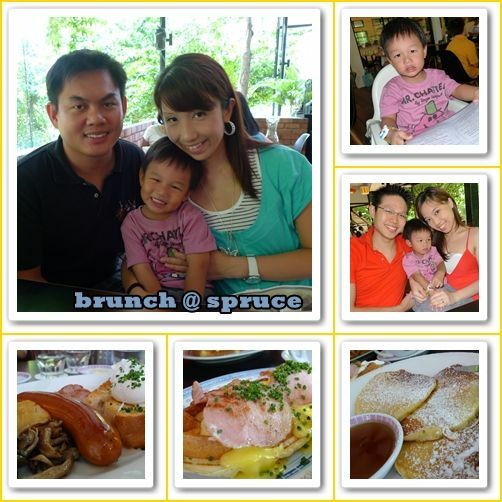 When we couldn't find seats for 7 adults & 3 kids at Riders Cafe, we were unfaltered and so I introduced the gang to Spruce - all thanks to Cel for the recommendation. We decided to have a go at their Eggs Benedict and we're madly in love with it now! Never knew eggs could be cooked in so many forms! Dylan loves their bread and the boy & I have a weakness for pancakes. We also like the idea that it has a mini playground to keep the kids entertained. I told Jayden that we'll be going to a place where we had breakfast with Ziv the last time. The boy instantly replied eagerly "The one with the playground correct?" Kids have AMAZING memory. After the hearty brunch, we went for a short shopping trip while Jayden took his snooze before heading to Charmaine's 7th birthday. The last time we met the birthday gal, she was only 4, cute and doesn't talk much. Now the gal can rattle a decent conversation and owns an iPhone. Gosh! Where is technology taking us?! 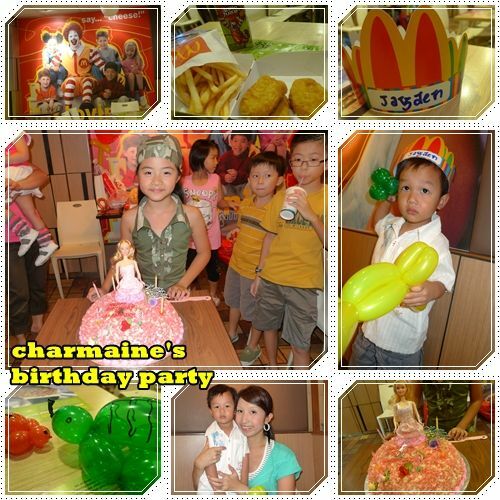 This is Jayden's first time attending a birthday celebration at a fast food restaurant. Of course, no complaints from the son since french fries and nuggets are on the list. The boy delightful chose his own food and amazingly gobbled everything up. After the party ended, the boy asked "When is Mommy's birthday?" I hope he's not assuming that I'm going to hold my birthday at MacDonalds.